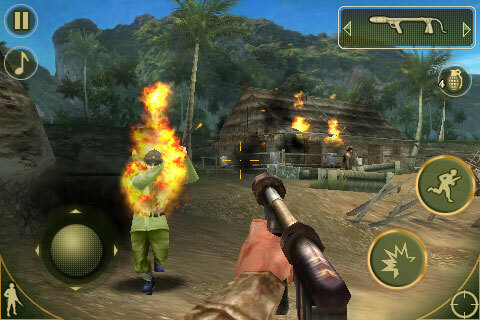 Brothers In Arms® 2: Global Front, by Gameloft, was released yesterday. It is available in the App Store for $7.99 which is a little cheaper than the launch price of Brothers In Arms® Hour of Heroes. See the video trailer for Brothers In Arms® 2: Global Front here. Gameloft has released a trailer for their upcoming game Brothers in Arms 2: Global Front. The game is set to hit the App Store on Monday, February 22nd. No info on pricing yet but, Brothers In Arms® Hour of Heroes had a launch price of $9.99. Check out the trailer video below.